I went for a short walk around the parkland at Parke yesterday after work in the evening sunshine. 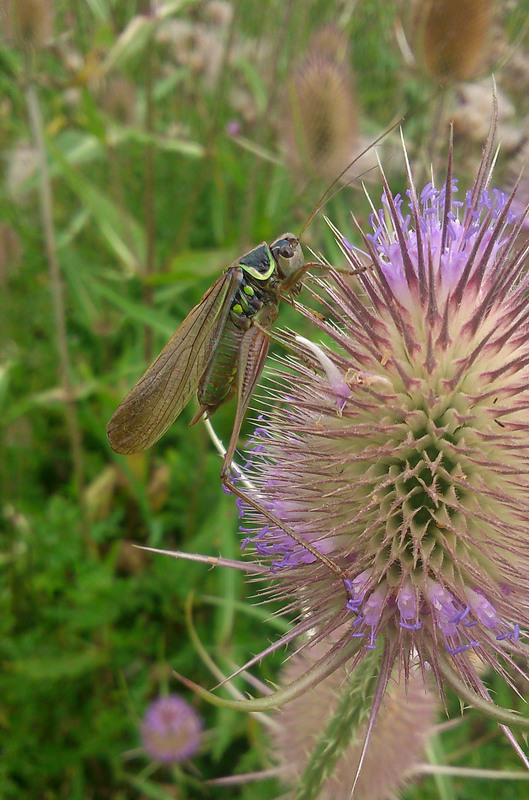 The grassland was alive with long-winged coneheads – it has a been a really good year for this bush cricket – they were ‘singing’ everywhere. And here is a recording of their song captured through a bat detector – which enables their very high pitched noises to become audible (recorded earlier in the week in a glade at Hembury Woods). 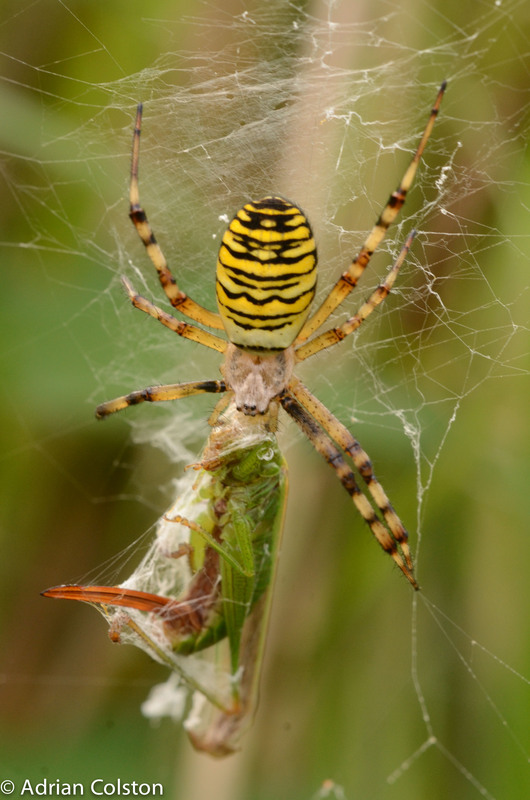 One of the main predators of coneheads and other grasshoppers – the wasp spider are also common too. You can see a female long-winged cone head in this picture which has been caught in the spider’s web and then wrapped up for consumption later…. Reminds me a bit of the Hobbit or Lord of the Rings or was it Harry Potter? 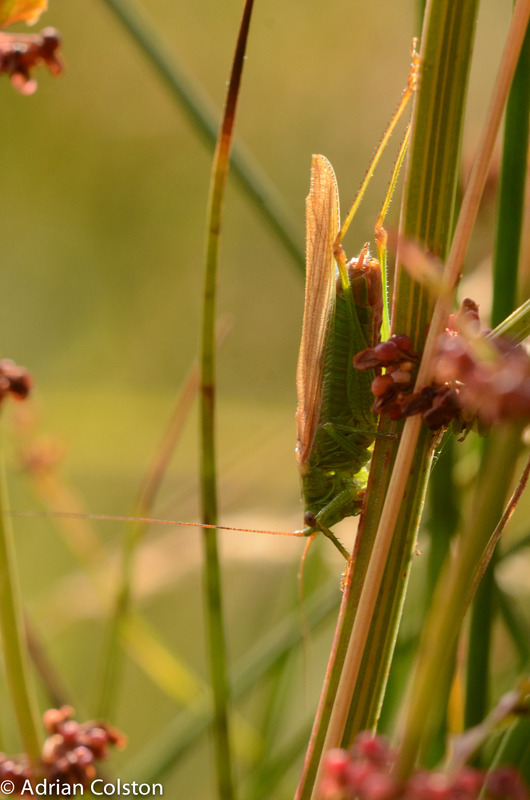 When it comes to sunny days in August I like to go out and look for bush crickets and grasshoppers (I’m the county recorder for Orthoptera i.e. bush crickets, grasshoppers etc.). 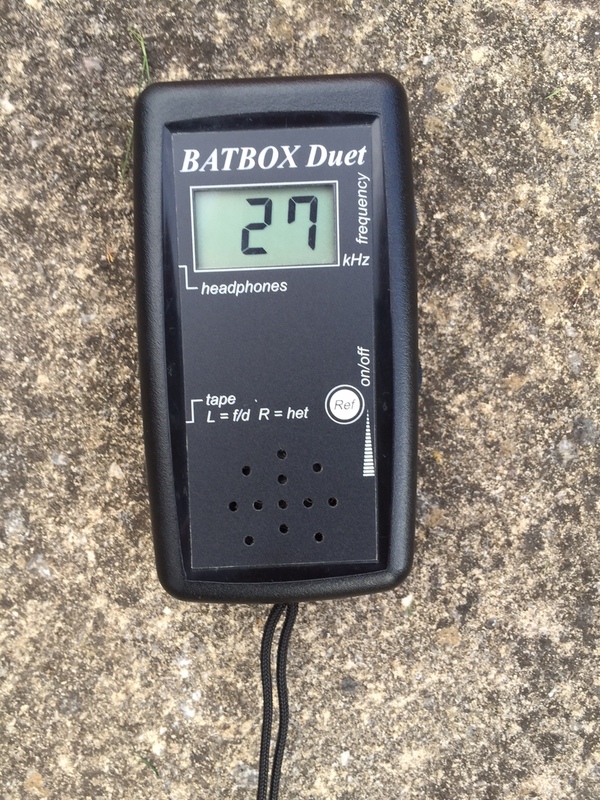 I always take a bat detector with me so I can hear their high pitched songs which help identify animals to species. Without the bat detector I can’t hear their songs! 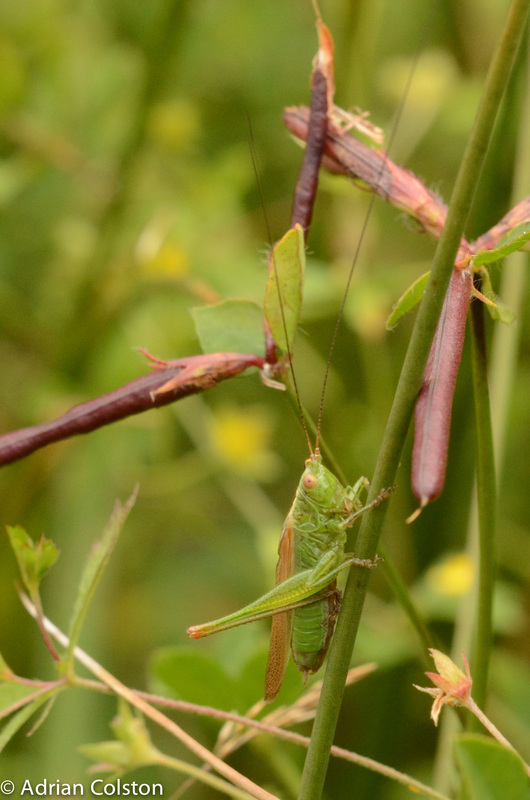 Roesel’s bush cricket – first recorded in Devon last summer by Karim Vahed – photo by K Bellis – a very distinctive song: like standing under high power electricity cables in the rain! Lets hope I can find some more today! The long winged cone head – sounds like a little tractor chugging along. Now very common in long grass in Devon – only arrived here a few decades ago. Should find lots of these today. Wonder what else might turn up!